When spring entertaining is in order, be certain your menus are filled with a selection of fine French inspired pastries from Miniature Chocolate Éclairs to Miniature Cream Puffs. These sweet canapés styles are guaranteed to elevate tables instantly. 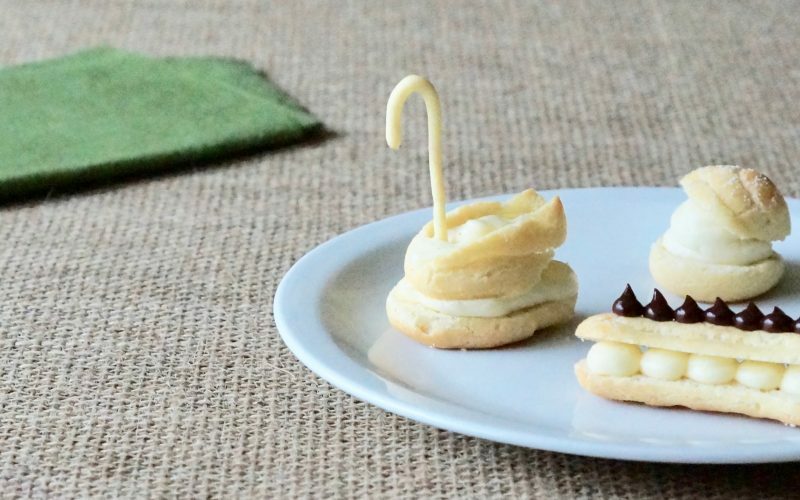 A recipe of pâte à choux may also be used to fashion a gaggle of lovely swans as well. Learn how to make this beautiful pastry with a few straightforward pointers. Eye-catching sweet small bites have long been conversation starters when spring entertaining is scheduled & planning party menus need not involve numerous recipes. Several hardworking formulas offer various styling opportunities to provide a good collection of desserts worth sampling. Pipe 1 1/4-inch ovals shapes of choux paste approximately 1/3-inch high on parchment paper-lined half sheet pans spacing 1 1/2-inches apart. Do not flatten the tip at the base where the piping bag has been lifted from the shape. Bake 18 to 20 minutes or until golden brown. 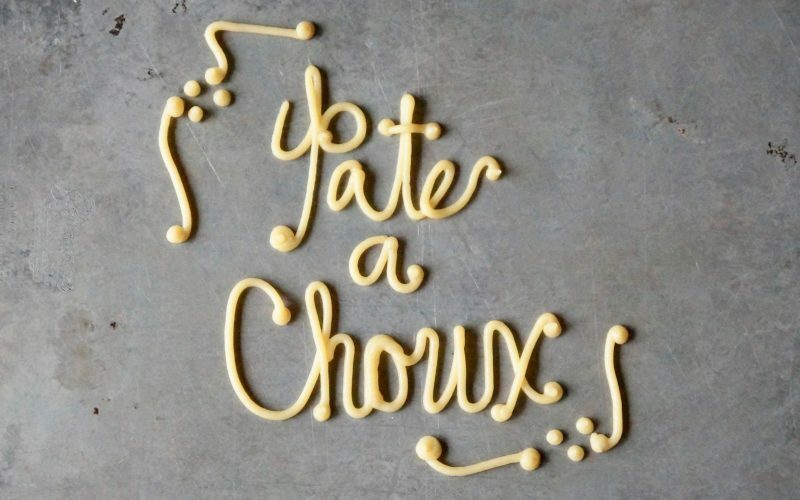 Fill a piping bag fit with a #5 tip with choux paste. Pipe long “S” shapes approximately 2-inches in length over a parchment paper-lined half sheet pan. Bake 8 minutes or until puffed & golden brown over the surface. Cool completely. Slice the ovals in half & fill the bottom portion with Creme Mousseline or Vanilla Bean Creme Patisserie. Slice the top pastry portion in half lengthwise & position them on either side of the chosen filling. Insert the “S” shaped pastry towards the front & into the creme. Prepare up to 2 hours ahead & chill until ready to serve.